Do you know what the three keys to buying an affordable new home are? Supply, supply and supply. When the supply of homes is increased, the demand and cost decreases. Simple economics. But with our industry facing 45 different government bodies with their own individual priorities, it seems like a near impossible task to get anything done. But the industry deals with it. We need to go higher, and we need to have some courage. Ontario often waits for other jurisdictions to experiment with building innovation before we dare dip a toe in the water. For example, cross-laminated timber is also being across North America to build schools: Quebec, British Columbia, New York and West Virginia are all doing it. If they’re using CLT to build classrooms for schoolchildren, surely they must be confident it’s safe. And then there’s those 45 government bodies: why not streamline the development process by creating housing zones like in London, England, with one-third affordable to buy or rent? Check out this link. This could be our future. 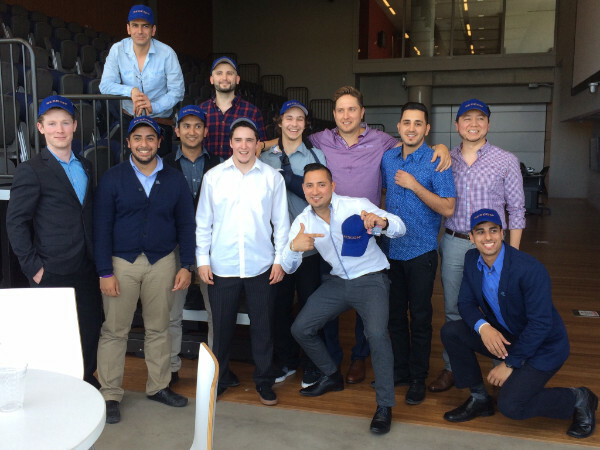 Speaking of which, check out Andrew Pariser’s column on this year’s “bumper crop” of George Brown College students in the RESCON program, as well as Pariser’s column on the top-class safety procedures at Tucker HiRise’s 1 Bloor East. And RESCON’s independent research report on housing affordability which made the cover of CondoBusiness magazine. Safety duo Shari Haltrecht and Joe Medeiros take RESCON into Tucker HiRise's 78-storey condo to show some of the key safety practices needed to build at Toronto's iconic intersection, Yonge and Bloor. 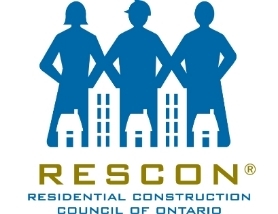 The number of applicants going into this year's RESCON’s Residential Construction Management Certificate Program has doubled from last year's class (shown above). Program coordinator Bill Nichols and builders Brian Couperthwaite and Mike Bowering tell Pariser what this year's "bumper crop" means for the program. Read Pariser's Training & Education column here. Magazine editor Michelle Ervin speaks with CANCEA president and CEO Paul Smetanin and Lyall on the newest comprehensive measurement of housing affordability -- the SCAR index (Shelter Consumption Affordability Ratio). Michael Steele, RESCON's technical guru, tackles Bill 172 (Ontario's cap and trade bill) and a few other goodies as Tech Corner returns. RCCAO's Andy Manhan and SOiiL's Al Durand write about Ontario's proposed policy framework for excess soil management and how implementing best practices can help government, key stakeholders and the public. Click here for RCCAO's piece.